If you’re an actor interested in working in television, you probably know how important it is to do your research and stay up to date with current TV shows. Know what’s on, what shoots in your city, and have a general sense of the tone and content of each show. It used to be that TV actors worked on TV, theater actors worked on stage, and film actors worked in the movies. Well, that’s just not true anymore. Netflix, Hulu and Amazon have presented a market for material and cable channels like FX, AMC, lifetime and the CW are filling their own niches. I think it’s safe to say that we’re in the middle of a free-for-all! It’s impossible to know where this is all leading, now that the Internet has so widely influenced the way people watch TV. We’re not dealing with a traditional industry structure anymore, so more than ever we have to be prepared because there is a whole world of opportunity waiting for you. It’s time to get focused and clear about what’s going on in our Industry. The easiest way to stay informed is by watching TV! Now, that can be a challenge when there are seven seasons of The Good Wife on Amazon and all you want to do is binge watch them! But remember, the point is to have your finger on the pulse of the television world so you have a general sense of everything that’s current. When you’re sitting down to do TV research, stay focused and don’t let yourself get sucked into the series. You don’t want to be the actor who doesn’t know how to engage in conversations about current projects airing now, it’s your job to know. 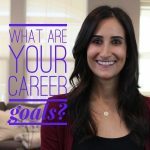 Know what you want It’s important to be clear on what type of work you want to be doing. Whether it’s comedy or drama it doesn’t matter, just decide which you are aiming for and start there. Be mindful to include the shows you may not normally find interesting, but your casting is appropriate for. 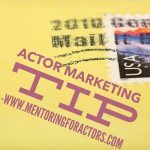 Get a sense of the tone, so that when your name gets called for an audition, you don’t have to spend precious prep time learning the plot and tone of the program. Between cable channels, Netflix, Amazon, and a host of other paid content providers, television research can get a little pricey. You have to think of this as an investment. If it means that you can’t go to happy hour a couple times that month so you can pay for you research materials, I’m sorry to say that it’s a must. Now, you don’t need it all – be discerning. If you think you’re more right for House of Cards thanGame of Thrones, it would be smarter to pay for Netflix than HBO. Yes, watching TV as an actor is research work, but after a long day, don’t forget to let yourself sit back and watch an episode or two of something you enjoy. After all, your love for storytelling is what got you here in the first place, isn’t it? You are a busy actor I’m sure, so don’t feel overwhelmed by this task, take it one episode at a time and after a few weeks you will be on your way! I want to hear from you, what shows have you been watching lately? Leave a note in the comments below. great tips indeed. thank you for this! my all time fav show is game of thrones. I also like reign,goodwife,homeland,housewives of bh,ny,kardashians.